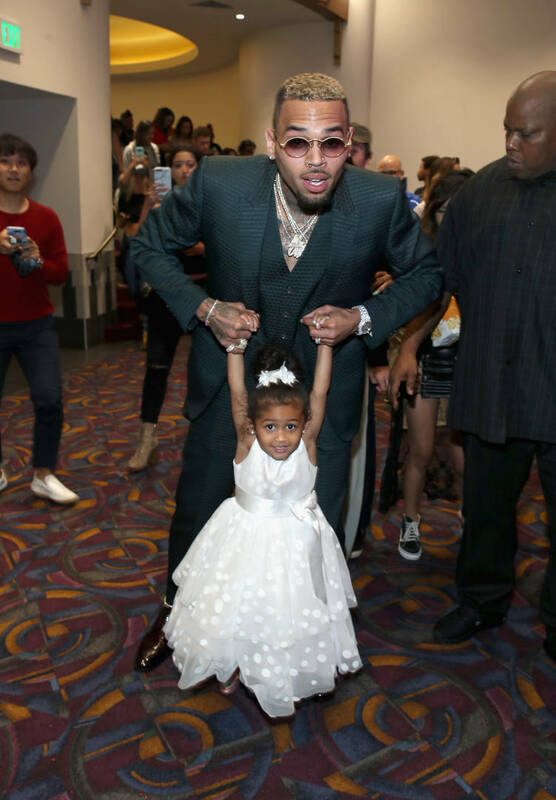 Home>Entertainment> Chris Brown's Daughter Royalty Dances As Dad Performs In "This Christmas"
A few days ago, Royalty Brown flexed some of her dancing skills during a recital and showed flashes of her father's skills on the floor. In a more casual setting, she's still busting a move as she watched her Chris Brown, her father, perform during a rerun of This Christmas, clearly feeling Breezy's show. Back in 2007, Chris Brown starred in This Christmas and in his household, it still gets tons of play around this time of the year. As we run quickly toward Christmas Day, Chris Brown's family has already started watching their traditional holiday films, starting with This Christmas. As they screened the movie, Royalty was so impressed by her dad's performance that she got up and started dancing, adorably clapping her hands and spinning around. While it may have been over ten years ago, Breezy hasn't lost a step at all. It seems his daughter may be interested in starting a career on stage too. The video was reposted on Chris' Instagram page and his fans are going crazy over the priceless moment. Brown loves to share videos and photos of his daughter, usually gushing over her on a weekly basis. She's definitely Chris' biggest fan too. Check out the video above. ENTERTAINMENT Chris Brown's Daughter Royalty Dances As Dad Performs In "This Christmas"